a couple of weeks ago, my in-laws took all their kids and their families to southern utah to visit zion national park. i had never been before and was just in awe the whole time. the views are breathtaking and i highly recommend visiting! i now see why people from all over the world come to utah. so saturday morning we loaded everyone up and hiked a smaller trail, emerald pools, which is a hike that we could do with all the kids. i will do a guide on that hike next! 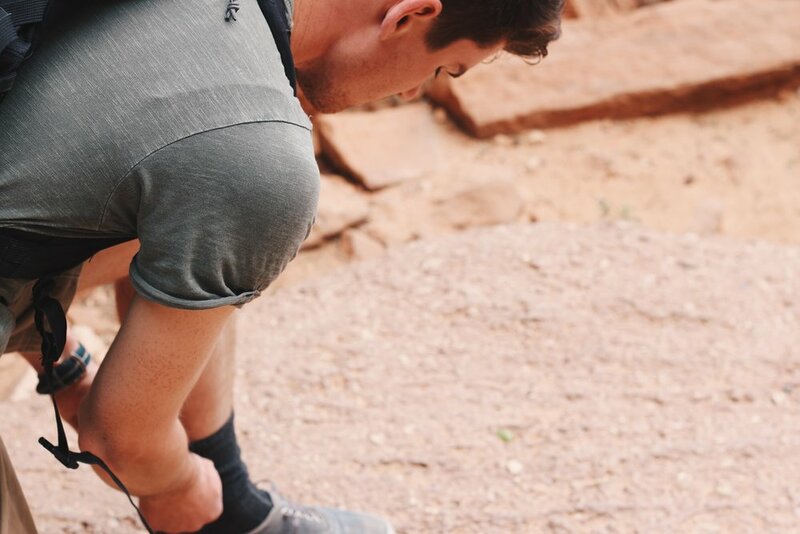 then once we finished, everyone was done for the day but aaron and i were dying to do another hike! zion is hard to resist! as we looked over the map at lunch, we decided we wanted to do angel's landing. i heard of it and seen pictures of people doing it but had no idea what to expect. as we tried to convince some of aaron's siblings to do it we started googling it...we saw the most frightening images and i was certain i would die if we hiked it. steep cliffs, people climbing up the side of a mountain that looked to be about a foot wide and chains galore. ya no thank you! starting the hike was easy. aaron was pumped, i was pumped and it was good. then it started getting a tiny bit harder and i complained, "i actually don't think i can do this!" then aaron kept telling me, "do it for the pics kat!" haha. surprisingly, that helped! we also met some cool people on the way up who were just by themselves and super happy! being around happy people helps keep the positive vibes and distracts from how hard the hike may be. i kept hoping there would be an ice cream shop at the top. once we got to the first look out point there are little bathroom huts and i got excited because i thought they would maybe have food. at least there are bathrooms though! so drink a lot of water! once we got to the end, there were people eating lunch and just enjoying the view. however, there was a TON of wind. i'm not sure if it's like that every time but plan on some wind when you go. 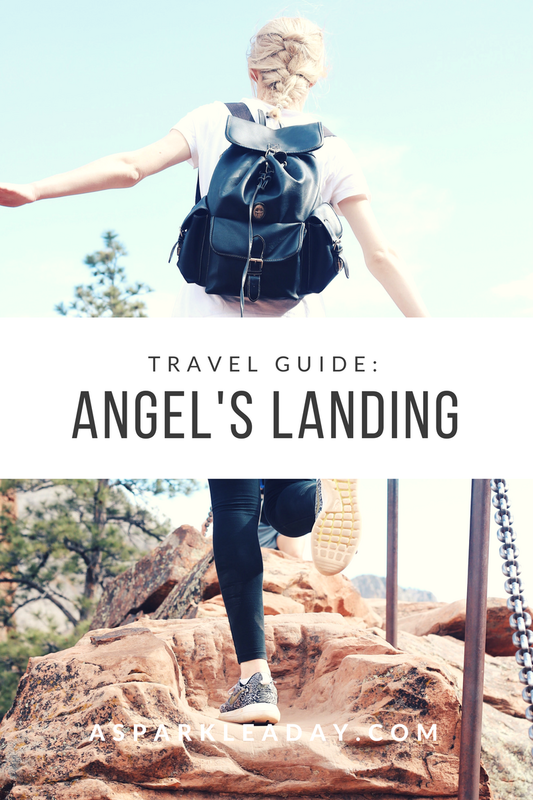 so there are just three main points i wanted to bring up about hiking angel's landing. it is worth every minute! once you get to the top you have a 360 view which would leave anyone breathless. i suggest this hike be at the top of your list when you visit zion national park. please comment any questions you may have below!